There’s plenty of reasons tech conferences can be useful. They are providing you with an opportunity to meet new people in the niche, learn about new trends, meet investors, scout for new hires and participate in the discussions that interest you. However, the opportunity to network is one of the most significant benefits of conferences. 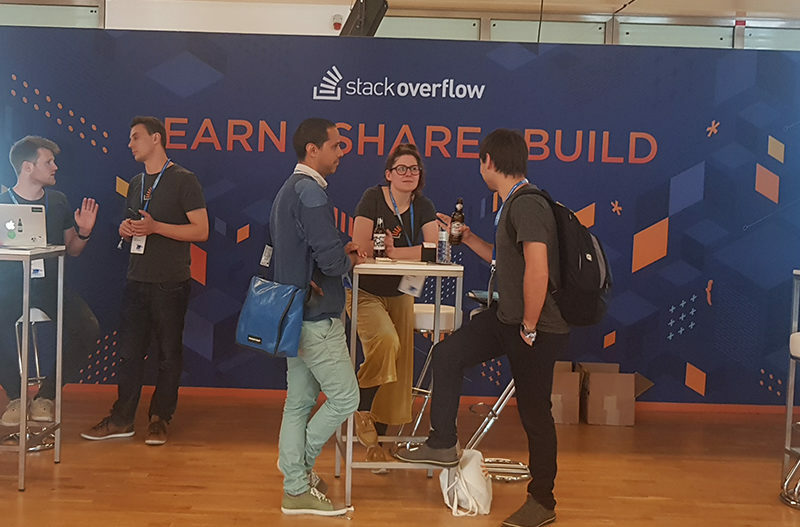 In our previous articles, we talked a lot about how to effectively mingle at tech events and if you feel you need some tips on it, have it a read. We’ve visited many tech conferences, and somehow we feel like you can categorise people you can meet there. That’s why we decided to write this article and give you some heads up on who you will meet there. Like we said before, tech events are the perfect opportunity for companies to scout for new employees. And the ones eager to find a new job are ready and waiting. They can be only just scouting for new opportunities, freelancers or the ones who just resigned. What’s common between them is that their drive to work is sky high and they wouldn’t wait for a beat to make themselves ready and show you what they can do. Modern entrepreneurs decided to quit suits, and instead, they can be found in jeans and t-shirts with a logo of their startup printed on them, walking on the conference venue like they own a place. They are rushing because they have so much to do: pitch their product, demos to show and network. If you meet them to try to pique their interest as much as you can – remember, their time is precious. And they are in the majority when it comes to people you will meet at tech conferences! Those people look like they came for one thing only. To connect on Social Media. If you meet them, you will recognise them by their firm grip on their mobile phone and a request to add you to every possible social network. Even though their attitude may put you off a bit, their content list is enormous and by keeping contact with them, you will be able to meet many interesting people. When you meet them, make sure you take their number or email. Those people are often the best in their niche, and they have the power to inspire you to take action. Their life and work experience are awe-inspiring, and the amount of people they know is tremendous. Give the best of yourself to stay on their contact list! They tend to stand out from the crowd given their formal attire strongly differs from the ones majority has. They are here with one single goal – scan the market (both when it comes to innovative tendencies and new hires) and turn the information they’ve got from there into their favour. They know what they want, and will reach out as fast as they can if they see potential in you. This is where our list ends. We hope we gave you some insight on which type of people you will meet at tech events. No matter how different they are, the passion for innovation is bringing them all together. Make sure your network and meet as many people as you can – after all, this is what conferences are for!